This mantel clock is pictured in Tamboti, a dark dense grained indigenous timber that creates a depth dimension in its marble finish. 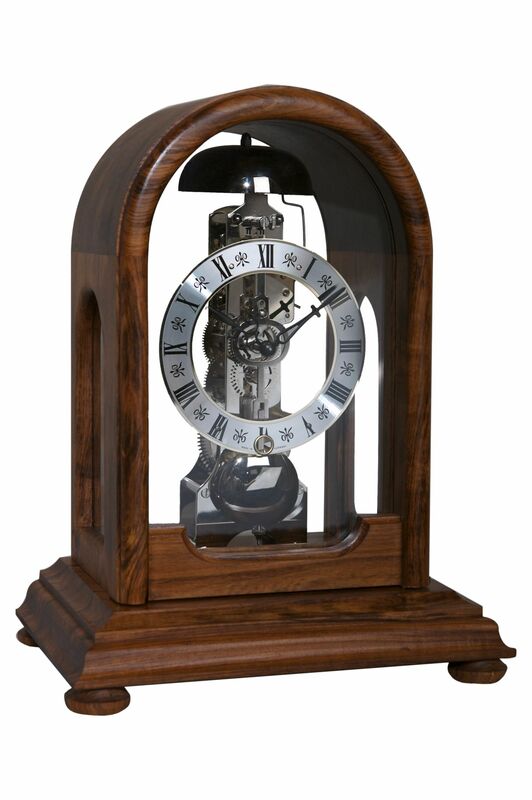 It has a 14-day spring driven mechanical Hermle movement that has one bell strike on the hour. The tower movement is well displayed in four sided glass panels.